An accomplished, high-level international salesperson with comprehensive knowledge of the New York City market, Edmond Pechaty provides impeccable guidance through the world of commercial real estate, customizing his services to each client’s individual needs, whether working with buyers, sellers or tenants. Before joining the real estate industry, Edmond founded his own import-export business, assisting producers in Asia and Europe in expanding into new markets. Previously, he worked at the U.S. Department of State. His experience selling and marketing a wide array of products has provided him with the sales background, negotiation expertise, and innovative thinking needed to succeed in real estate, while his extensive international experience is a great asset in guiding international clients through the NYC market. An attentive student of the real estate landscape, Edmond keeps clients intimately informed about long-term trends, daily developments and specific properties, while clients consistently appreciate his honest, reliable work ethic and outside-the-box thinking. Edmond received a Bachelor of Arts in International Relations from George Washington University and a Master’s in Economics and International Relations from Johns Hopkins University. He speaks German and some Czech, and relishes the chance to explore the dynamic cultural diversity of New York City. When not on the job he is an enthusiastic world traveler who enjoys playing soccer and tennis. In New York we have a truly dynamic commercial and residential real estate market. It is commonly known to investors worldwide that purchasing real estate in New York City is both secure and profitable and, as such, makes real estate investment is one of the most important sources of revenue for the City of New York. Despite the multiple real estate opportunities available, bringing real estate transactions to a successful conclusion requires the investment of a tremendous number of man hours researching buyers and sellers, establishing an understanding of the properties and their potential for return on investment, and, most importantly, developing trust among all members of the transaction. My area of expertise is commercial real estate and more specifically hotel investment. I have traveled quite extensively around the world and have always had a grasp of how international business is conducted. After completing an undergraduate degree in International Relations at George Washington University, I chose to attended the Johns Hopkin’s School of Advanced International Studies (SAIS) focusing on economics and European studies. The SAIS student body is truly international representing several countries from around the world and emphasizes the importance of working together and sharing ideas to solve problems. SAIS offered both didactic and practical experiences working with a variety of people and provided the tools necessary to ensure my success in the field of hotel investment. My education and experience has provided me with the ability to understand clients from both a business and social perspective. Real estate clients, particularly foreign investors, appreciate working with someone who has an understanding of their point of view and is able to help them overcome the unique problems they face in making an investment. I believe this approach is the basis for my success. Personal: I believe that my successful will provide the means for me to give back to the community by assisting nonprofit organizations to improve the lives of less fortunate people throughout the global community. I am particularly interested in helping organizations that provide venture capital for small startup businesses in developing countries. 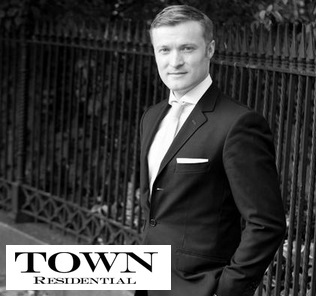 Business: I work at TOWN Residential Real Estate and am dedicated to improving the success of my team by helping us build a solid foundation for our commercial real estate division. I have chosen to work for TOWN because of the emphasis it places on cooperation and teamwork to improve sales. New York City is a microcosm of the world and every international experience can be found here. In order to understand a culture, one needs to understand its cuisine, art, and craftsmanship. I love eating at different restaurants and experiencing international flavors in both food and ambience. Speaking with owners and patrons of these restaurants provides a greater understanding of the unique lifestyle of each culture in New York. Attending concerts of ethnic music not only brings specific people of that culture together, but also people interested in that culture. This helps me understand how New York impacts various cultures and how those cultures influence the people of New York. I enjoy studying personalities throughout history who have become successful because they had vision and courage and utilized hard work to arrive at the top of their chosen fields -- from Historical figures like Bismark to well known business people like Steve Jobs, who are well accomplished and possess many enviable qualities. But I am most impressed by my clients who are looking to establish a business for the first time. The perseverance and strength with which they strive for success is deserving of much respect and admiration. The Evelyn – a perfect date spot with expertly crafted cocktails. Hasaki – my favorite sushi restaurant in New York. It is casual and accessible with great attention to detail and quality. Tinska Ulice Prague – A tiny, obscure street in Prague that has a great Italian restaurant and a Bar & Books that embodies everything I love about Prague. Wilhelm Jungmann and Neffe – Vienna– the best of Old World haberdasheries. Dinos American Bar – Vienna – The gentlemen who work here have a real passion for the craft of cocktail-making. Food – I like to cook and can take on almost anything. Cocktails—My favorite is the Islay Mole (a smokey whisky/mezcal drink) from the Evelyn, the Silly Season (a cucumber and gin drink) from a bar in Prague called Tretters. And my third and new very favorite is the Hibiki 12 year served simply with Perrier. I got this drink at Robata-ya and it was love at first sip. Traveling–I love traveling to my favorite places: skiing in St. Anton, Austria in the winter, the Fasching Ball season in Vienna, summering in Bordeaux, sampling wine in St. Emillion, and taking in the Baroque majesty of Prague. Fashion –Living in Italy for a year, I developed a passion for finding products crafted by real artisans. Now that I am in New York, I enjoy exploring new and interesting stores that carry objects produced with expertise and passion. Reading –mainly news and current affairs. I have a voracious appetite for the news. I subscribe to Monocle Magazine.